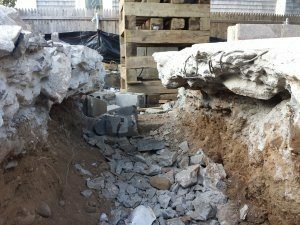 Crumbling foundations are a reality for many homeowners and this is an issue that needs to be addressed promptly. Having a better understanding about foundation issues helps you to ensure that you can best maintain your home. The potential associated costs are typically the most concerning because they can add up quickly. If you notice a crack that is more than one-fourth of an inch in width, this is one that warrants your attention. These must be patched properly or else they will just continue to expand. You also want to get a handle on why the crack occurred in the first place and address any underlying issues. When crumbling foundations damage is left unchecked, this can result in further damage to your home. For example, you might experience crooked windows and doors, drywall cracking or damaged or uneven floors. All of these can be costly to fix. Of course, along with these problems, you also have to invest in getting the foundation and the underlying issue fixed too. If you ignore the issues with the foundation and only fix the related damage, it is inevitable that it will just happen again. If you are purchasing a home and it is found to have foundation issues, you might have to use a different type of financing. This means that any loan you pre-qualified for might not work and you will have to go through the process again. If you are able to stick to your initial loan, you might have to put down a larger down payment or you could be subject to higher interest rates. Now you can better understand why crumbling foundations are such a big deal. Make sure to have your foundation inspected as part of routine home maintenance. Should an issue be discovered, it is critical that you do not delay in getting it addressed as soon as possible.